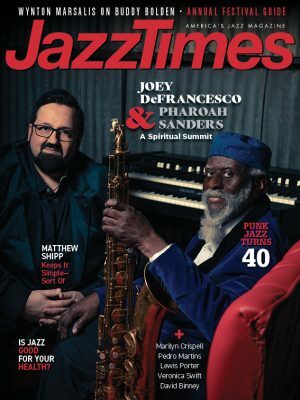 Every so often the current powers that be at Blue Note gather several marquee artists, not all of them necessarily on the label’s roster, put them in a studio together and let them loose with the intent of bowing to the company’s storied history. In 2009 it was the Blue Note 7, a one-shot that included Ravi Coltrane, Bill Charlap and others. Before that, in 1995, a collective calling itself the Blue Note All Stars (Tim Hagans, Greg Osby, etc.) cut another one-off. There are no holdovers on Our Point of View. 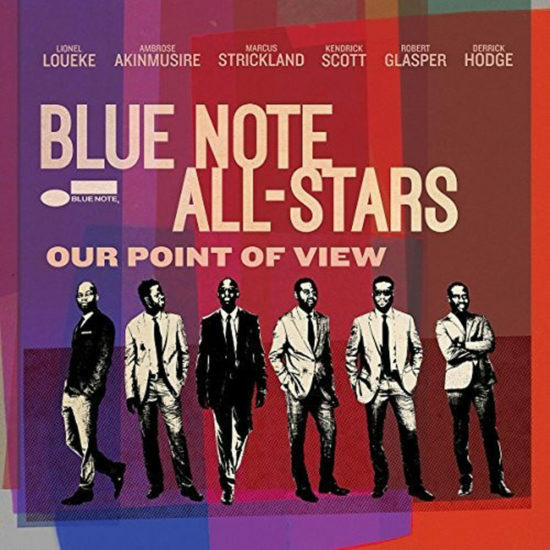 These Blue Note All-Stars are luminaries of the present Don Was-run iteration of the label: Robert Glasper (keyboards), Ambrose Akinmusire (trumpet), Marcus Strickland (tenor saxophone), Lionel Loueke (guitar), Derrick Hodge (bass) and Kendrick Scott (drums). As one might expect, the sextet brings a contemporary vibe to this joint project, but that doesn’t mean there’s no acknowledgement of legacy. Quite the opposite, in fact. The album is bookended by a pair of tributes to the late, revered Bruce Lundvall: “Bruce’s Vibe,” a 90-second nod featuring a snippet of the Blue Note president’s 2011 Grammy speech over pensive Glasper piano; and Akinmusire’s “Bruce the Last Dinosaur,” it too a restrained couple minutes of elegy. In between, things get livelier. “Masqualero” spotlights its author, Wayne Shorter, who guests on soprano, with Herbie Hancock taking over the piano bench as Glasper shifts to the Rhodes. Forget any notion that it might be a throwback due to the visitors’ senior status—the take is darker and edgier than the version on Miles’ Sorcerer. Among the others, all written by All-Stars save for a second Shorter contribution, Loueke’s deep-funk “Freedom Dance” and Scott’s sizzling “Cycling Through Reality” serve as full-band showcases that succeed in confirming the might of Blue Note’s current roster. Preview, buy or download songs from the album Our Point of View by the Blue Note All-Stars on iTunes.